CHECK THIS CHARMING HOME OUT!!!!! Youâve got to come see this 3 bedroom 1 bath house which has been COMPLETELY remodeled. 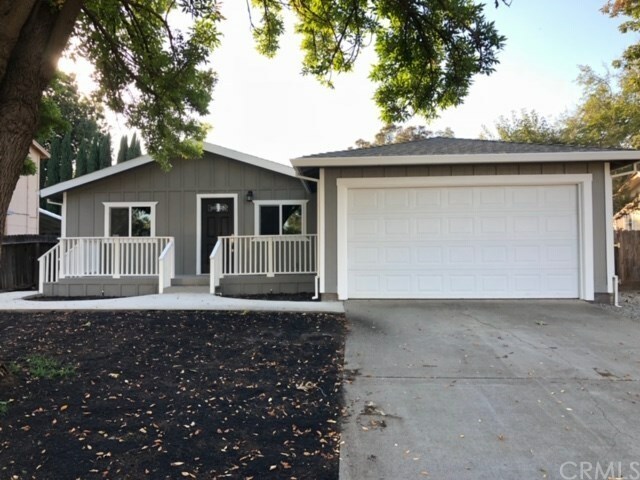 This amazing remodel comes complete with all new electrical, plumbing, siding, roof, windows, paint, kitchen cabinets, fixturesâ¦. the list goes on and on! Youâll find yourself cooking in the open concept kitchen under pendant lights, utilizing the brand-new stainless-steel appliances while having ample storage in a pantry closet! All your laundry will be done inside in its very own laundry space! The inside is immaculate, but the outside is pristine! Backyard comes complete with new deck and planter boxes and a gardening shed to store all your tools. Front yard has newly planted lawn, brand-new automatic sprinkler system and is surrounded by recently poured sidewalks. Imagine yourself relaxing on the front deck in this quaint little neighborhoodâ¦Youâve got to check this place out!